Perfect for sublimation! Great for the beach or loungewear, gym, pilates, yoga, cheerleading, or out on the town. 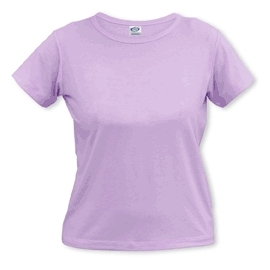 Stock colors and sizes are available in single garment, 6-pack, or case quantities of 36. 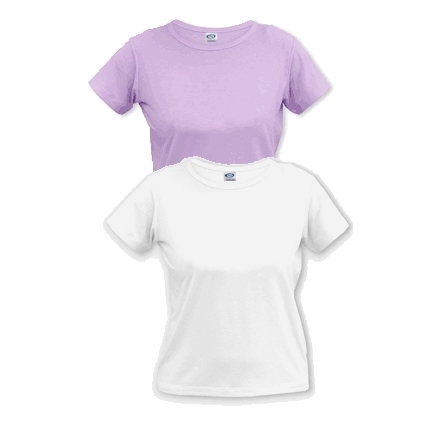 In-Stock sizes and colors are: SML, MED, LGE, and 1XL in White and Lavender. Other sizes and colors are available but due to limited demand are currently considered "Non-Stock", and can be special ordered by request in multiples of 6 or 36 (30 for 2XL and larger sizes). As always, we will entertain requests to stock additional items.